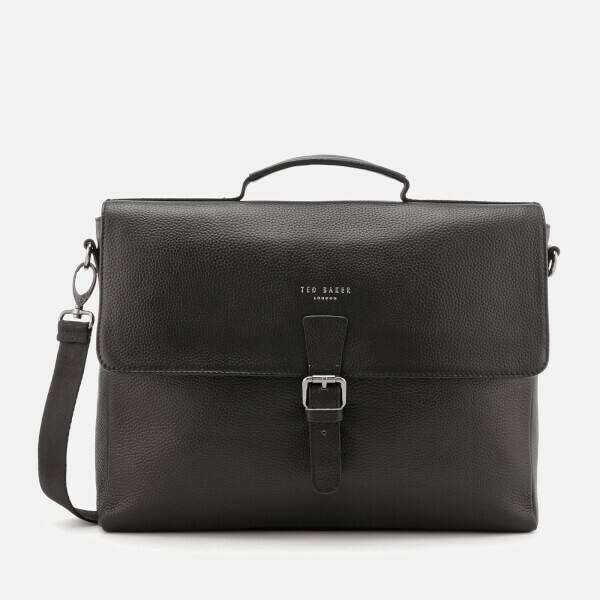 Black leather satchel bag from quintessentially British fashion label, Ted Baker’s men’s accessories collection. 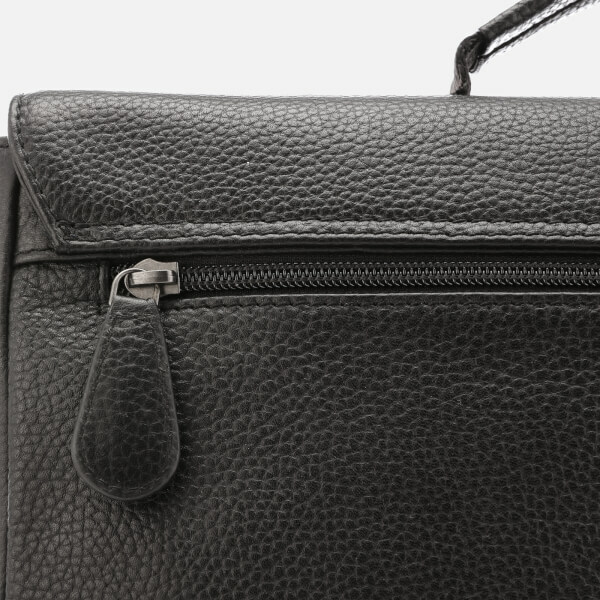 Crafted from pebble-textured leather, the ‘Departs’ soft briefcase showcases a rectangular construction with a secure fold-over flap design and reinforced top handle. 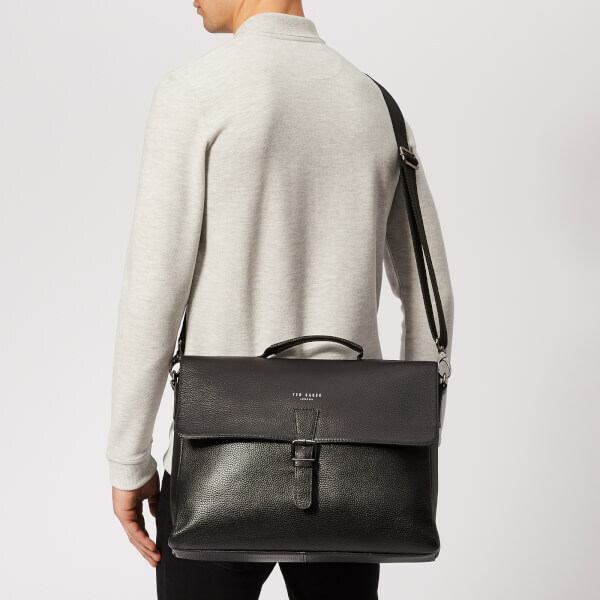 Fastened with a faux buckle push-lock closure, the bag’s front flap lifts open to reveal a spacious, lined interior complete with a multitude of pockets for keeping documents and gadgets organised. 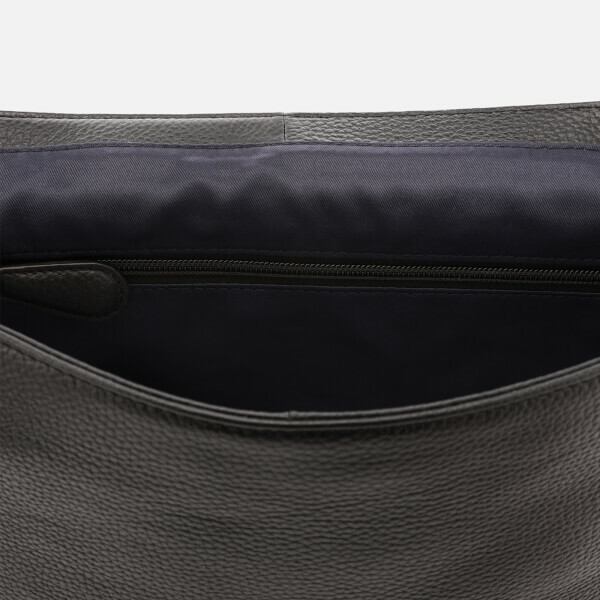 An external zip pocket to the reverse offers additional storage for essentials, and an adjustable, removable strap with a supportive shoulder pad provides versatile wear. 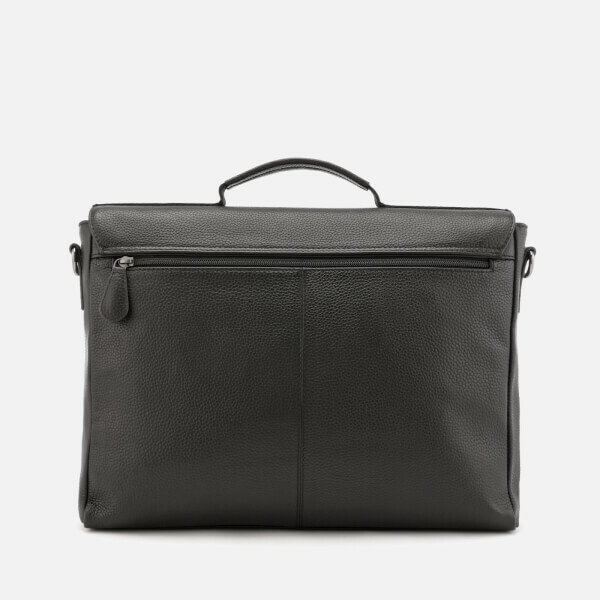 Gunmetal-tone hardware and silver foiled branding embossed to the front add the finishing touches. Dimensions: H: 27cm x W: 38cm x D: 8.5cm. Handle Drop: 5cm. Strap Drop: 50cm.